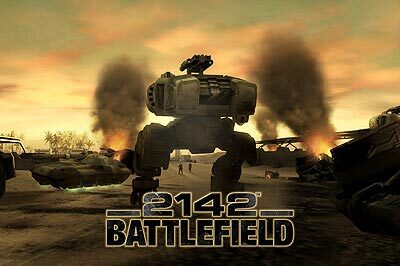 We would like to formally welcome you to the Battlefield 2142 Demo featuring the Sidi Power Plant Map! This Friday (10/6/06) you can begin your exploration of the next step in the Battlefield World while battling with your friends in both our new Titan Game Mode and classic Conquest Game Mode. Sign on and immerse yourself into the new Battlefield Experience and prepare for the next age of online Warfare! 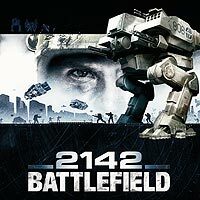 The most anticipated title of year 2006, Battlefield 2142 demo version can now be downloaded through our site, “4Gamer.net”. This 24hour-exclusive offer is a once-in-a-lifetime opportunity for you to get your hands on the demo version ahead of everybody else. 2 game modes will be playable: Conquest and Titan. When connecting to a demo server, players will first play Titan, then Conquest. They will then be disconnected from the server and see a short movie about full game features before going back to server browser and be allowed to play again. No persistence in the demo, so players will use only base weapons and gadgets, but will be able to see the full unlock trees in the demo. Buddy (friends) system will be available in the demo but the namespace is different to the one in the final game (ie soldier names created for the demo are different from the ones in the full game). So buddies will have to be re-set for the full game. The Titan tutorial video is the intro movie of the demo (but not of the final game) and cannot be skipped when playing for the first time. 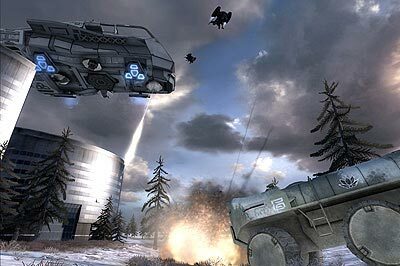 This time, we decided to use 4Gamer Game Loader for delivery Battlefield 2142 demo version, because BitTorrent technology should avoid low speed downloading with concentrate access. So you could be able to obtain the demo rapidly. However, if you did not adjust to your PC environment, (the ISP, networking and so on) you will not get enough benefit from BitTorrent technology. Too slow connecting to server makes the Loader tend to try use alternative server which has no enough accessing speed. You should open downloaded folder, and click installer manually. We are sorry to say that we do not answer any questions such as about installation of software, how to play a game. The demo software downloaded through or for the use of the Services is done at your own discretion and risk, and 4Gamer.net will not be responsible in any way for any damage to your computer system or loss of data that results from the download of any such material. DO NOT copy any images, text without our permission.